The post below was originally written by Mila Bozic and published on Jun 16, 2016. 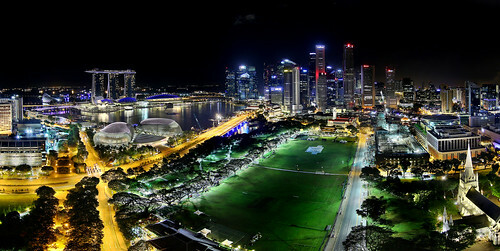 According to many travel portals and top travel charts, Singapore is one of the most popular destinations in the world. It offers plenty of accommodations, so you will easily find a high-quality Singapore hotel for your stay. The metropolis is also known for its contrasts — old and new, traditional and modern, east and west, rural and urban, romantic and corporate. Indeed, Singapore represents the entire world in itself. Learn about these four essential bucket list experiences in Singapore. Marina Bay embodies contemporary and extravagance at every inch. Its 3.5-kilometer waterfront promenade tracing the perimeter is surrounded by architectural works of art and embellished with artistic sculptures. This is not just a regular promenade; here you can encounter kite flyers, dragon boat races, and musical performances on an ordinary day. Savor the 101-hectare Gardens by the Bay, try some restaurant hopping, or play some leisure spots. An unforgettable time is virtually guaranteed in this inspiring environment. 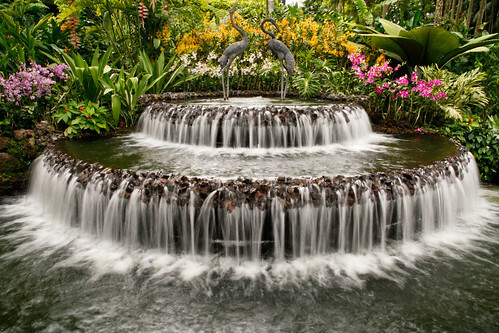 Did you know that UNESCO’s world and cultural heritage list includes the 150-year-old lush Singapore Botanic Gardens? This place has a remarkably attractive location alongside the shopping belt on Orchard Road and in the heart of the city. This is an ideal spot for enjoining nature, sharing a picnic with family, or scheduling some fun recreational time. A sensational collection of over 60,000 plants will make you want to revel in this natural treasure. When you walk into the National Orchid Garden, which is part of the Botanic Gardens, the extensive collection of tropical orchids leaves a strong impression. It houses many one-of-a-kind orchid spices. Attend one of the free classical music concerts performed by the Singapore Symphony Orchestra. Besides the world’s best restaurants, where you can taste specialties from excellent chefs, Singapore has equally alluring hawker stalls. You can consume exquisite national cuisine in an open-air complex with shops and stalls that offer different kinds of cooked meals. 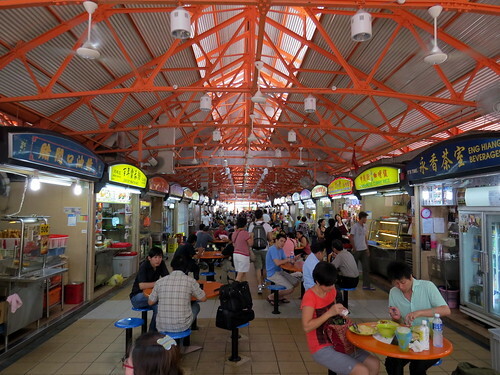 Hawker street food is an important part of the local tradition and the city’s culture, and it is a wonderful place to eat, because it accommodates varied tastes and prices. Singapore’s varied cuisine is inspired by multi-ethnic customs and the history of this wonderful city. 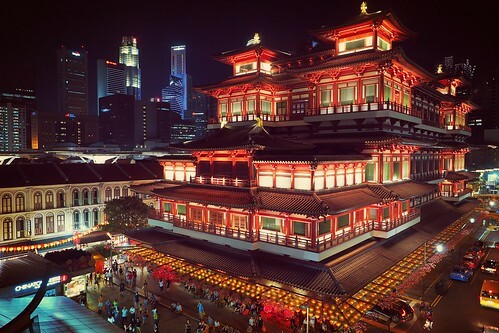 Singapore’s Chinatown district is known for the Buddha Tooth Relic Temple and Museum. This temple was built in a Tang dynasty architectural style with Buddhist Mandala elements that illustrate the Buddhist universe. It was founded in honor of the historic Buddha and appointed on a giant stupa made from 320 kilograms of gold, weighing more than 3.5 tons. The main designer and developer was the temple’s chief abbot, Venerable Shi Fa Zhao, who worked with local and overseas consultants. The temple is valuable for its prosperous characteristics and important Buddhist art and cultural exhibits. Including a sacred Buddha artifact, this temple and museum is definitely on the not-to-miss list during your visit.